Wood Case: L: 6.3" W: 3.2" H: 1.3"
This is an awesome little set and a nice presentation piece. If you are the kind of person who geeks out over tools this will make you happy. All of the parts are heavy duty and of great quality. The handle feels as solid as a bar of lead, in a good way. Great item. The wooden box is very nice crafted and the service of KCtoolCo as always, excelent. Excellent quality and a great gift in the wooden case (I am keeping it for myself but it would make an excellent gift!) Nice tight ratcheting action and angle in handle helps to give it that little extra knuckle clearance! I am expecting years of use from this set! 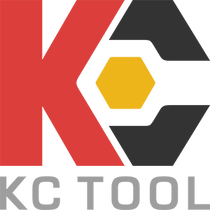 And as always - great service from KC Tool! Perfect fit and finish, comfortable ratchet. This tool is two in one - a work of art and a useful set of tools. There are several notable items that come with it: - - 1) 1/4" extension - the end that goes into the socket has a "ball" head, which allows you to tilt the ratchet slightly. The ability to shift the ratchet will come in handy as it will be used in tight quarters. - - 2) 1/4" hex ratchet. As with the extension, I've never had one of these but have had fixed L-shaped hex bit holders. Besides its general usefulness, it is well designed. The handle is rounded so it won't press too hard into your palm, and the head is set at a slight angle which gives room for your hand. - - 3) The wooden case. Though it is likely machined by a CNC machine, that doesn't detract from its beauty. There is just something satisfying about a wood case that closes so perfectly. - - Overall - totally worth it.